We sold out every last ticket and had a massive turn out. Thank You all for attending and we look forward to getting back together in 2020. 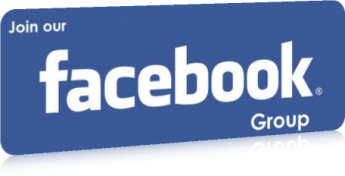 Be sure to join our newsletter by signing up at the bottom of this page so that you get our announcements for next year. It will be very important that you get your tickets quickly as we expect 2020 will sell out even faster next year. Tickets usually go on sale at the end of the summer but we will keep you updated via email if you join our mailing list today ! Click Here to view the new photos from this years event ! Due to the great success of previous years game market, we are keeping the INCREASED number of items each seller can offer at the "Bring n' Buy" event on Saturday. You may now bring up to 25 games for sale. You will still need to fill out a "seller registration form" AND an "item form" for each one and they can be found on the bring n buy page. Games for sale should be kept in your room or vehicle until Saturday morning as there is very little room for storage prior to the Saturday sales event. 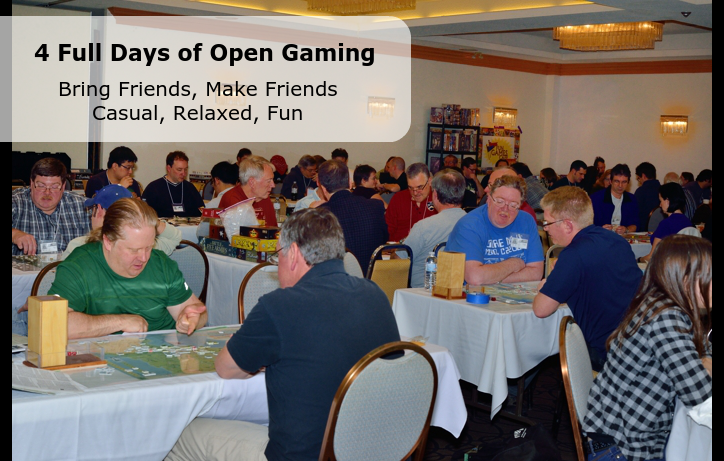 Everyone knows the best part about any con is the open gaming... countless hours of play, hundreds of games, a huge community of friendly people waiting for you to join them at the table. 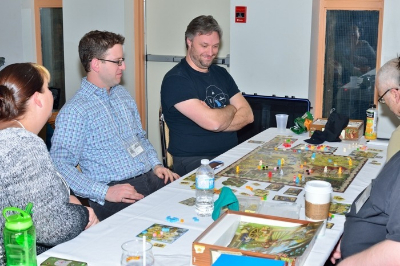 These are not just your grandma's old parcheesi boards... NBW opens its doors Thursday morning at 9:00am and runs through Sunday, 6:00pm (some folks like to arrive on Wednesday night to get a little extra gaming in, either in their room or at the Crux. ) 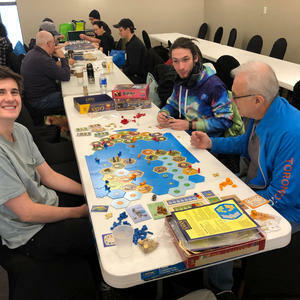 NBW is a friendly gathering of 200 to 300 gamers playing euro-games, war-games, heavy theme, cube pushers, social deduction, fillers, new releases, and gaming classics. There are no schedules or events to book, the whole convention is open/pickup gaming... and it really does pick up ! 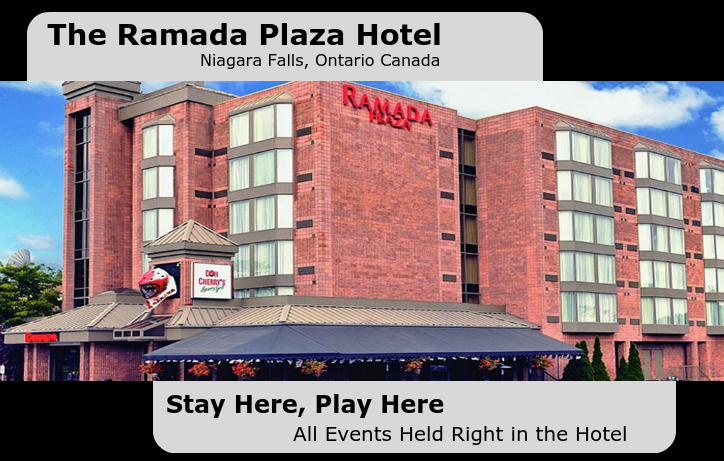 Start Wednesday night to hit the town, meet old or new friends, go grab a dinner at the Falls... and be ready to jump right in Thursday morning. You don't want to miss 4+ days of gaming in one of the most beautiful cities in the world. Niagara Falls, Ontario Canada. 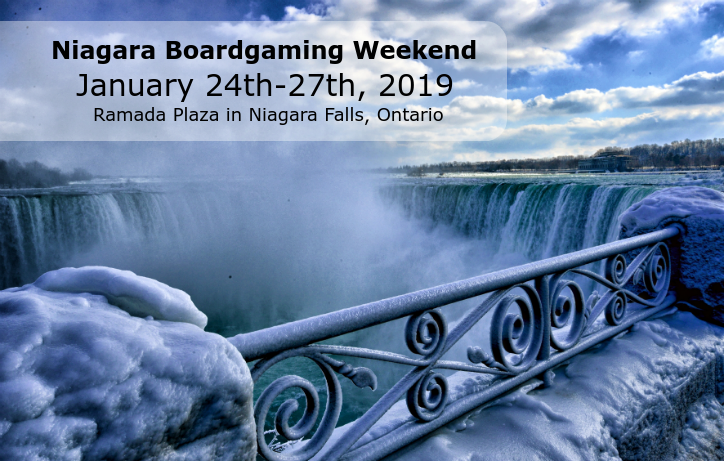 Book your stay, buy your pass, and game all weekend... you can even take a break to visit the scenic Niagara Falls, only a short cab ride from the hotel.